What’s New, Worth Checking Out & Sales! 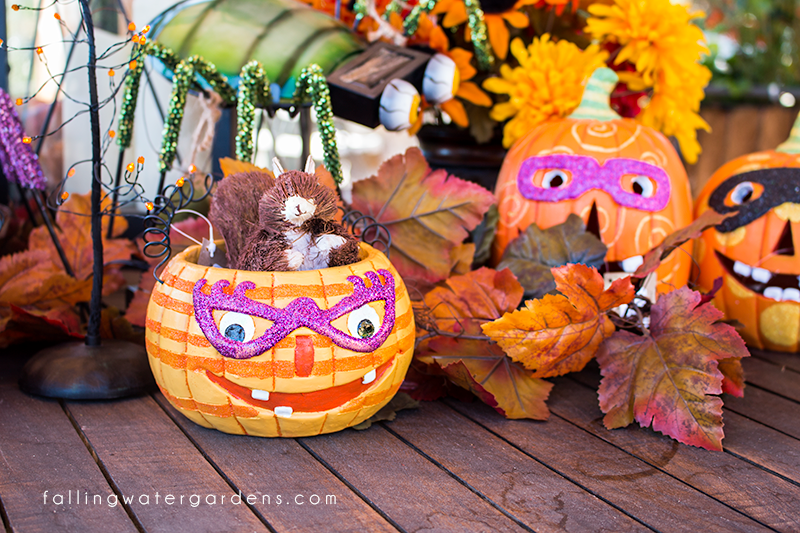 Entertain your friends and family this season with the cutest decor from Falling Water Gardens! 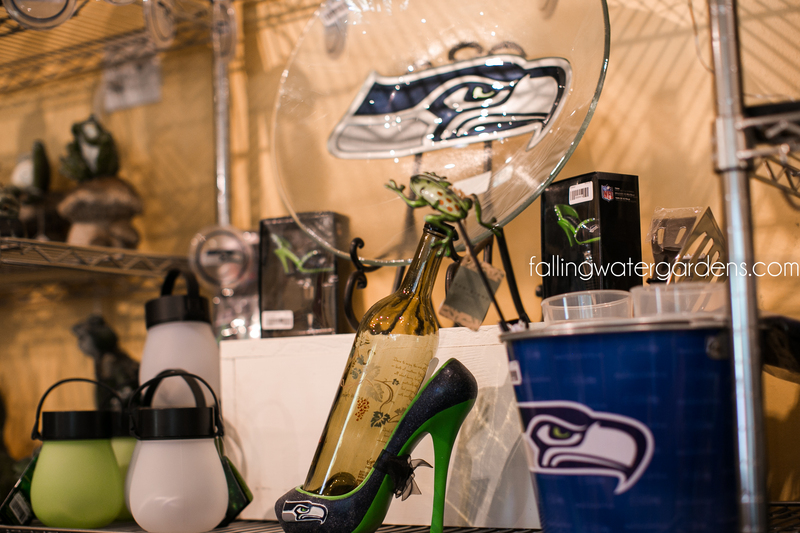 We have two different Seahawks sections in the gift shop with unique, decorative pieces and quirky gift ideas for friends and family that love reppin’ their hometown team! 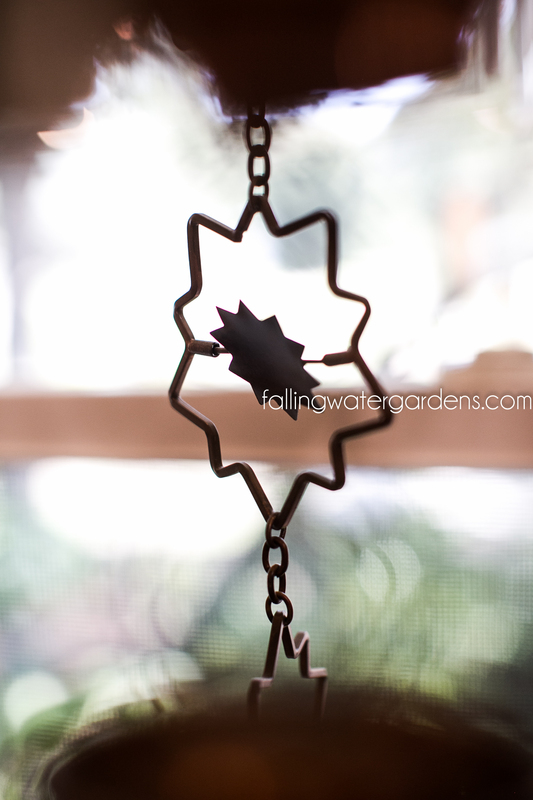 Add a unique, modern touch to your outdoor garden decor with the Ancient Graffiti Flamed Rain Chain. This contemporary rain chain produces a soothing trickle that flows downward whenever the rain begins to fall. Hang it from your porch or gutter and enjoy its sleek look thanks to the bold copper finish. We have an assortment to choose from. $75.95. A graceful marriage of beauty and practicality adds a gorgeous touch anywhere. 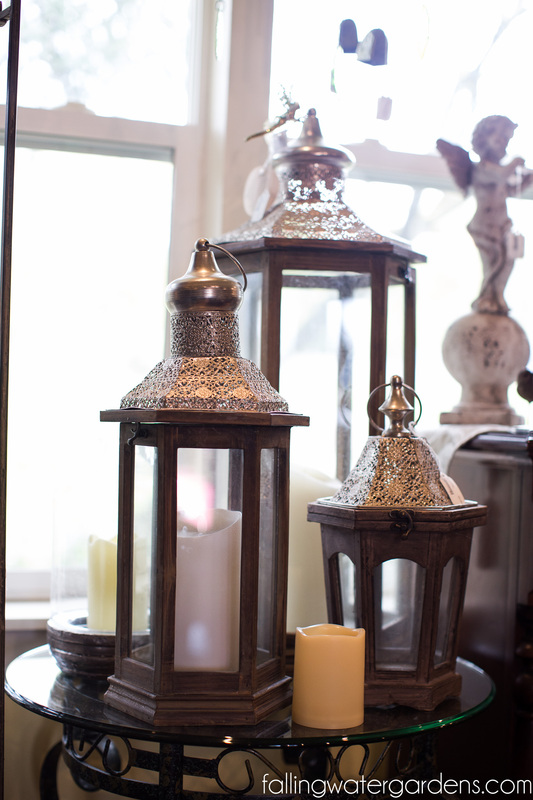 These decorative lanterns can help light up your living space as the days start to get shorter and gloomier. Many different styles and sizes to choose from! Starting at $14. 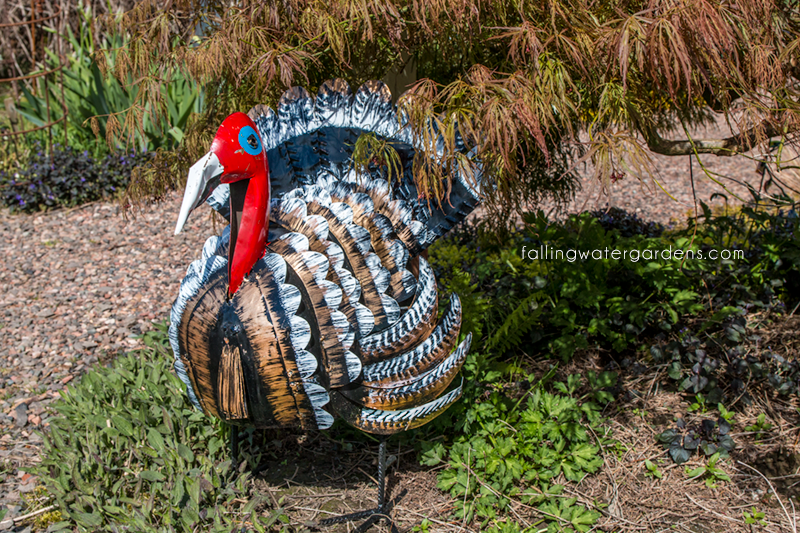 Have fun with the kids or grand kids with this lovely colored turkey! It’s metal and can be kept outside. Perfect for the fall and Thanksgiving holiday. $129.95. Spring pond cleaning is so much easier when you prevent leaves and debris from entering in the first place! 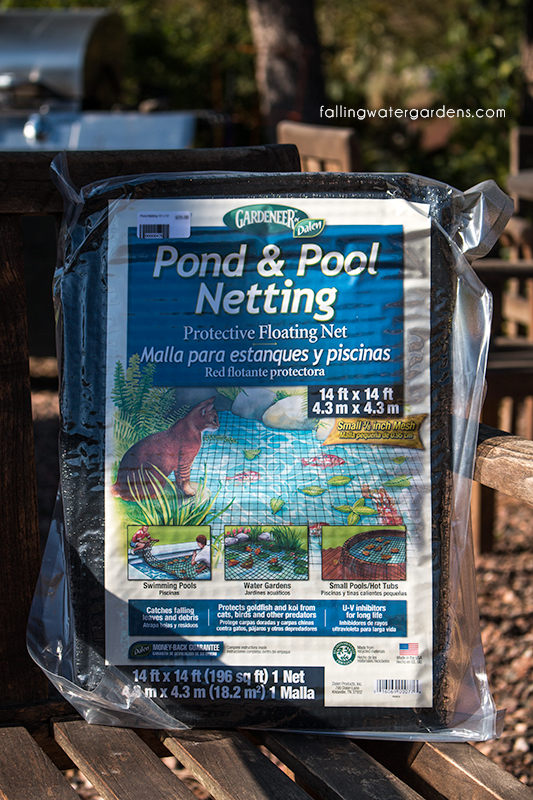 Placing pond netting over your pond through the fall and winter can save you lots of time. Choose from 4 different sizes of netting. Starting at just $12. 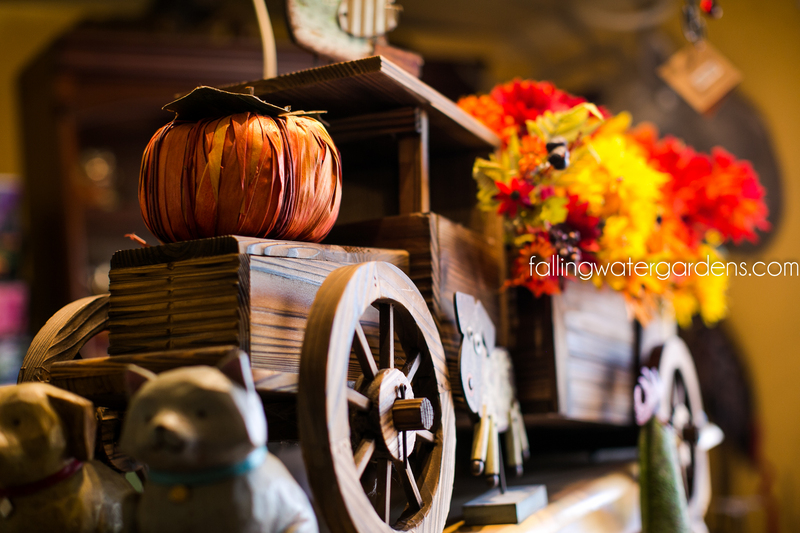 It’s that time again to score your Fall Decor. 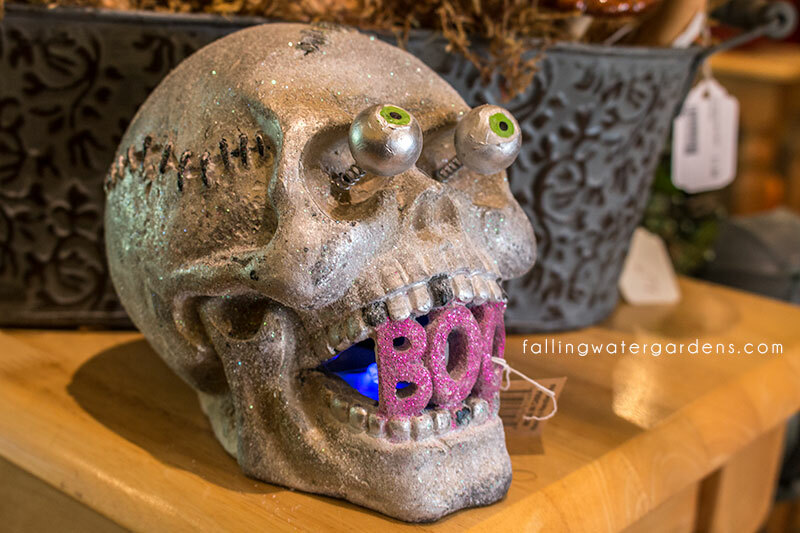 Pumpkins, Jack-o-lanterns, skulls and more! We currently have all decor on sale, buy one get one free! All Fish priced at $18 or more are on sale at buy 2 get 1 free until temps hit 55F. 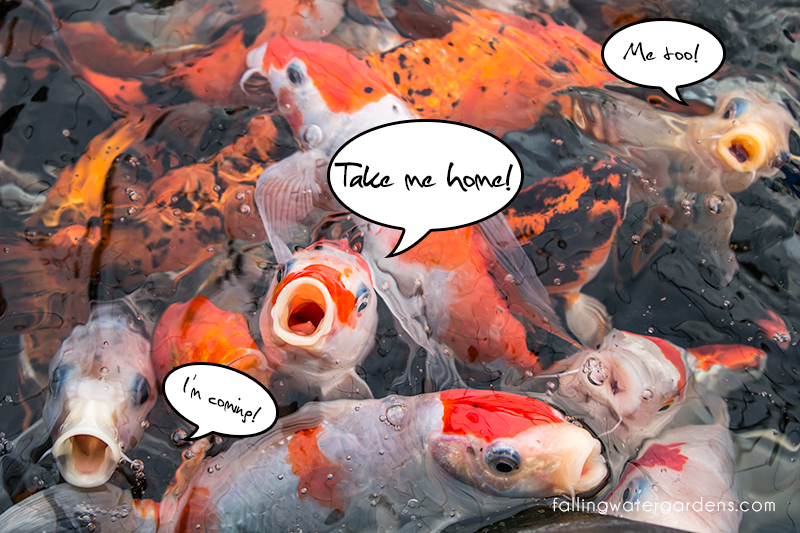 If you’ve been wanting to get fish, don’t wait any longer!